The theme auto detects the default Google AdSense and the custom banners that respect the structure provided in the documentation and makes them responsive automatically. Each ad spot has one box where you can insert your ad code. Please read below how to set up a Custom ad. You can define 5 different custom ad spots. You can use the tagDiv Ad Box widget to place each of the custom ads wherever you want on your page. To create a Custom Ad go to Newspaper > Theme Panel > Ads and open the Custom ad Section you desire (one of the 5 available in the Theme panel). After you finished customizing the Custom Ad click on the Save Setting button. A. Using the tagDiv Composer page builder and integrate ads in pages. 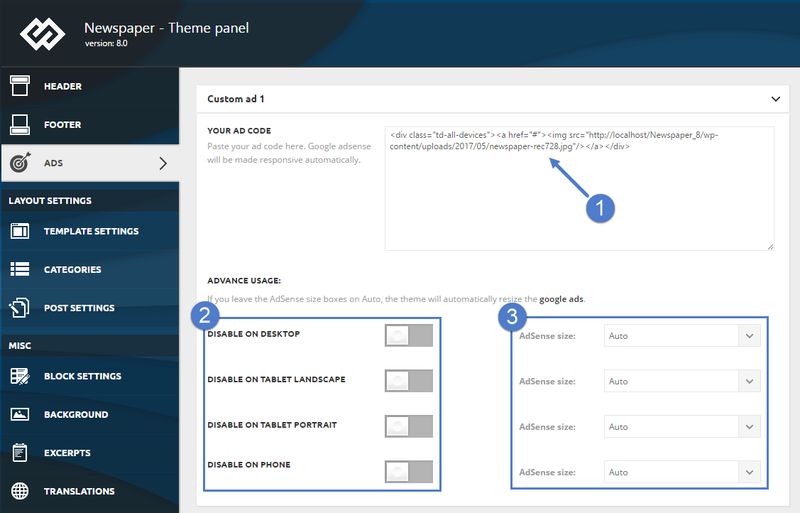 Step 2 – From the element settings select your custom ad spot that you created before in the Theme panel and Save changes. Step 3 – Move the element where you want it to be positioned on the page. Step 1 – Go to Appearance > Widgets and add [tagDiv] Ad Box in the desired location (Footer1, Footer 2, Footer 3 or Sidebar area). Step 2 – Select the custom ad you have previously created. 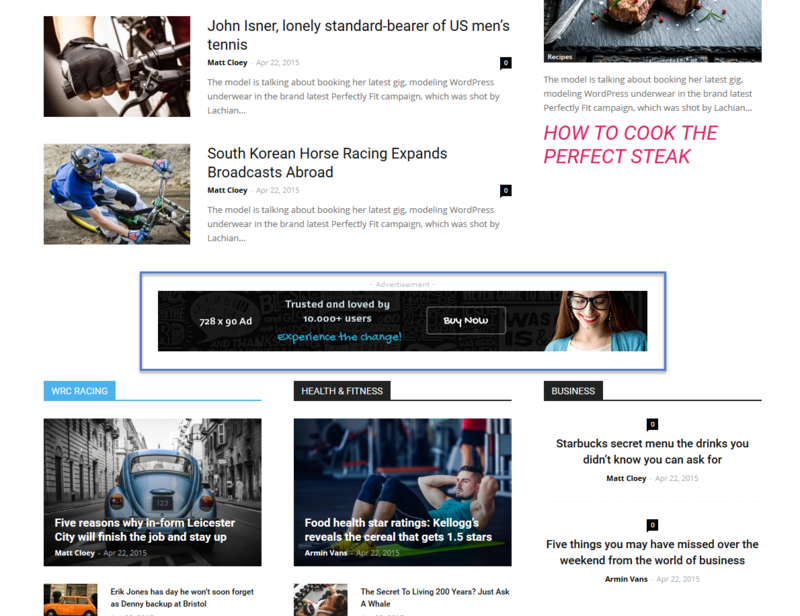 Step 3 – Choose a title for you ad block. Remember to click the Save Settings button. This is an example of how the Custom ad can look on your page. The banner was added using the tagDiv Composer builder method illustrated above.